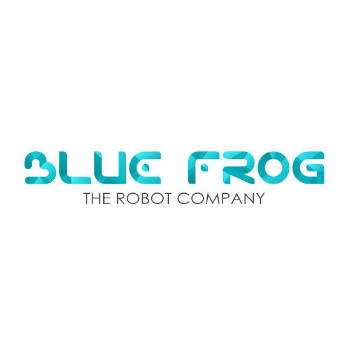 Blue Frog Robotics is the developer of BUDDY, the world's first true Companion Robot that has captured the affection of tens of thousands of people around the world. Since BUDDY is built on a modular, flexible open source platform, the global community of BUDDY hardware and software developers are able to easily enrich the portfolio of applications specifically targeted to professionals in education and health care, as well as in other markets that are realizing the benefits of a companion robot. BUDDY is the revolutionary personal assistant robot designed by Paris-based Blue Frog Robotics. With speech recognition, text-to-speech, human & object detection, the voice-activated BUDDY is able to hear, speak, see and make coinciding head movements. BUDDY is built on a modular, flexible open source platform that includes Android, Unity 3D and Arduino. BUDDY can be integrated with all your mobile and social tools, and smart devices including thermostats, lights, and wearables. BUDDY can function as a smart home hub controlled by voice command or remotely via mobile app. The global community of BUDDY hardware and software developers continually enrich the portfolio of applications specifically targeted to professionals in a range of businesses, including education and health care.